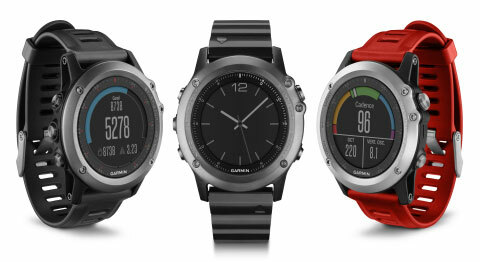 Garmin International Inc., a unit of Garmin Ltd. (NASDAQ: GRMN), the global leader in satellite navigation, announced the next-generation multisport GPS watch, fēnix 3. With the new EXO™ GPS antenna, fēnix 3 boasts features that support a full range of multisport activities, from advanced fitness training, to cross-country and alpine skiing, snowboarding, as well as hiking, climbing and trail running. It’s compatible with the Connect IQ™ store for even more smartwatch functionality and customization. Fēnix 3 comes in three variations: Silver, Gray, and the premium Sapphire, which features a scratch-resistant sapphire lens. With uncompromising details like a stainless steel bezel and sunlight-readable high-resolution color display, the fēnix 3 combines the GPS and wearable technology that Garmin is known for with a sleek new form factor that suits both the outdoors and the boardroom.